To verify the possible presence of objects on the underside of the fuselage of the second plane involved in the attack in New York on 11 September. The images obtained in the news report on the attack show certain changes in luminance on the underside of the fuselage. Because all commercial airliners have a cylindrical fuselage, in principle, these variations in luminance make no sense. In order to try to explain what can be seen with the naked eye, the images were digitally processed, without altering the information, to account for the changes in luminance. The images supplied by R R were converted to grey levels in order to process them more rapidly. The images were also cropped for greater efficiency, leaving only the area of interest (the aeroplane). Algorithms to detect the contour along the direction of the gradient, approximating the first derivative function of the image. 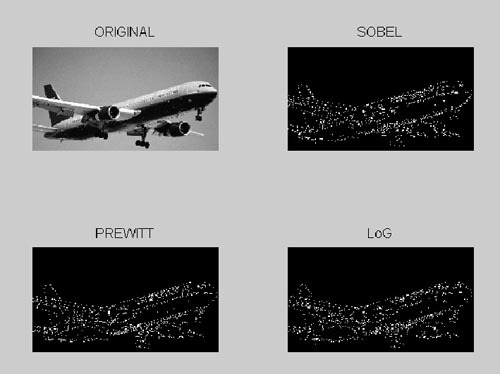 Algorithms to detect sudden changes in image intensity. The first derivative function of the image has a maximum or minimum in the contour position and the second derivative will be zero in the same position. The applied gradient-direction-based algorithms were: SOBEL and PREWITT. While those based on the second derivative, considered Laplacian and Gaussian functions. 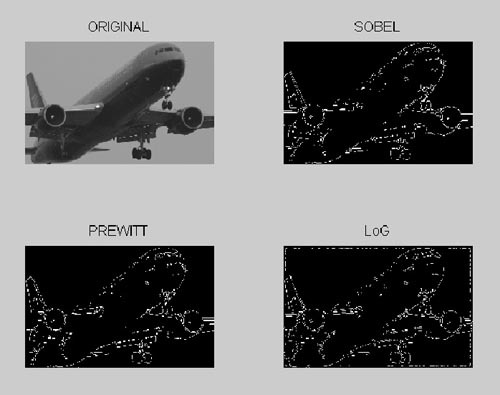 The results for each image are summarised in figure 1, figure 2 and figure 3. Figure 1: Presence of two cylindrical objects on the underside of the fuselage. Figure 2: Presence of the same cylindrical objects (from another vantage point). Figure 3: Presence of two cylindrical objects on the underside of the fuselage. The simulations were performed using functions included in the ToolBox to the Matlab 6 (release 12) image processing software. 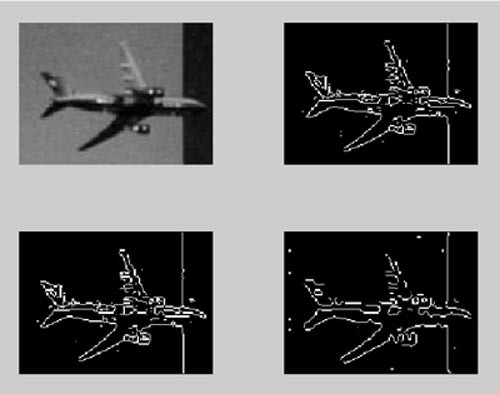 The same process was used on two photographs of a Boeing 767-300, giving the results shown in figures 4 and figure 5. Figure 4: A Boeing 767-300 taking off. Figure 5: A Boeing 767-300 flying with its landing gear down. 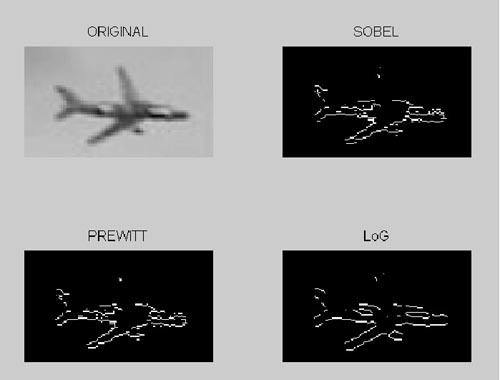 The same analysis has been performed on various images. The selected images are fragments of photographs of the attack on 11 September and a Boeing 767-300. The studied images are taken from different angles of observation. The detected cylindrical objects cannot be due to shadows caused by the angle of incidence of the sun on the plane, because they always appear to be the same shape and size, though with varying luminosity. The detected objects have varying luminosity around them because they are in relief (this is the only possible explanation). 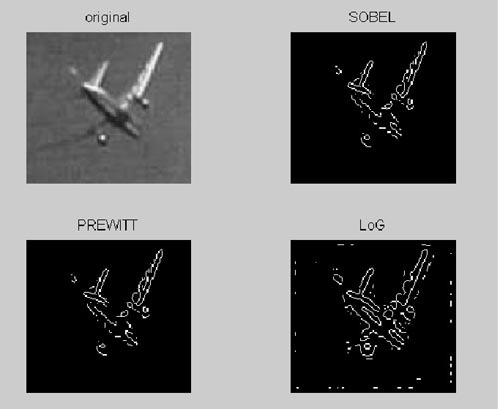 The detected objects are clearly distinct from the landing gear.